Electronics Costs > How Much Are Blu-Ray Players? How Much Are Blu-Ray Players? 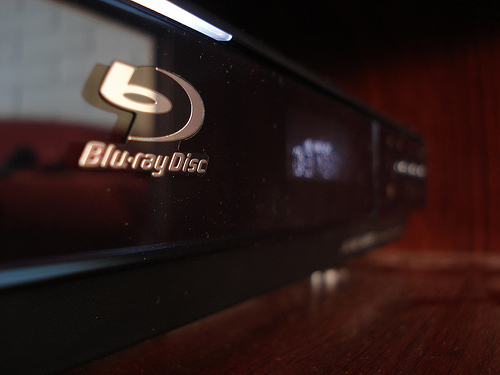 While a regular DVD player is not capable of playing a Blu-ray disc, a Blu-ray player is capable of playing both DVDs and CDs in addition to blue-ray discs. Blu-ray.com calls Blu-rays “the official successor to DVD.” This site also offers reviews on all different brands ofBlbu-ray players. “Blu-ray Player” (CC BY 2.0) by /pitzyper! How much do blu-ray players cost? On average, the cost of a Blu-ray player will depend on the features, brand, the input/outputs, and retailer you purchase it from. Costs can range anywhere from as little as $50 for a simple standard player with little to no features to as much as $700 for a 4K Ultra HD WiFi built-in player. According to Consumer Reports, you should be prepared to spend about $400 or so for an Ultra HD player. On Amazon.com, for example, streaming Blu-ray players retail for $50 to as much as $250, while the 3D players retail for $65 to $200. Lifewire.com notes players can start at $99 and can go up to $1,000 for the highest-end models; however, you should be prepared to spend $150 to $300. Most models on the market today are now able to stream several online services such as Amazon and Netflix. A basic player should have built-in WiFi and offer a 1080p resolution. Depending on the model, some may offer 3D capabilities. A 4K player, the newest technology on the market, can work with a 4K television and will off the best picture quality that supports high dynamic range content. If the player has video streaming option, it will have a built-in WiFi adapter will be able to access your Internet. This gives you the opportunity to watch online services such as Netflix and Amazon. Some players, however, may only have Internet access if you connect a wire directly into the back. All players will be backward compatible and can play both DVDs and CDs. All players, regardless of which one you purchase, will play commercial blu-ray DVDs. A remote which controls your Blu-ray player will be included. The basic cables needed to hook the player to your television will be included. A user manual showing how to use all the features of the player will be included. Most name brands will include a limited warranty that can last up to a lifetime. HDMI cables can be purchased separately to make Blu-ray viewing even better. These can be bought for around $5. All modern players will have an HDMI output; this is the cable designed to carry audio and video on a single cable to your television. While regular players have a 1.4 output, the newer 4K Ultra HD models will have HDMI 2.0 outputs. The true Blu-ray experience will only be complete with a high-definition television as well as a decent surround sound system. Blu-ray movies will usually cost more than a traditional DVD – usually between $10-$30. If the player doesn’t have a built-in wireless adapter, these adapters can cost extra depending on the type that is purchased. Most players will have the adapter built in already. For portable players, a carrying bag is ideal to protect it from damages. Websites, such as Amazon and NewEgg, offer used and refurbished Blu-ray players at discounted prices. Consider purchasing a second-hand player such as eBay or Craigslist. Since the technology changes rather fast, many opt to upgrade their player. It doesn’t even hurt to check at local garage sales either. Be sure to get a TV that compliments your Blu-ray player. Most players can deliver 1080p, the highest resolution available today. Consider investing into a TV that offers this type of resolution. Research the sound as players can have different types of audio. Some of these formats include Dolby Digital Plus, Dolby TrueHD and DTS-HD Master Audio. If you tend to stream Netflix, consider spending the extra money to get a player that has built-in WiFi. Purchasing a player with these capabilities will be a lot cheaper than purchasing a TV with the same features. Even if your player has Internet capabilities, see how it can receive the Internet. If it’s via a cable only, make sure you have the room to connect the cable. On the other hand, if it’s via WiFi, make sure the signal will be strong enough to stream videos. For those who have a 3D TV, consider getting a player with 3D capabilities if you want to watch shows in 3D.